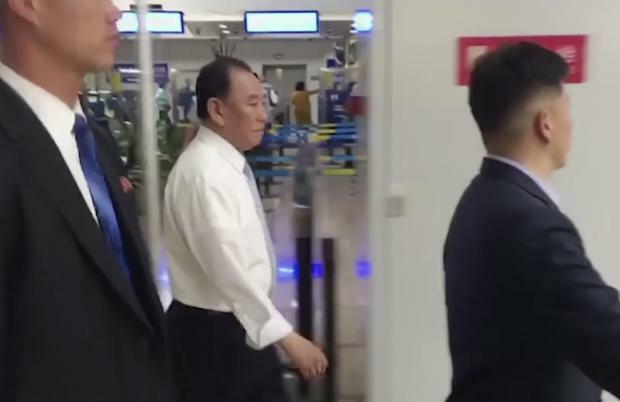 On any other day, Kim Yong Chol might have passed through Beijing airport unrecognized. On May 29, senior video journalist Raf Wober wouldn’t let him. Wober was passing through Beijing airport on his way home from Pyongyang, where he had covered the May 24 demolition of that country’s nuclear test site. He noticed heavy security at the airport and moved closer. That’s when he recognized Kim being escorted toward immigration. There had been no indication that Kim was going to be in China. Wober quickly grabbed his smartphone and filmed as much as he could of Kim as he walked through the airport. Wober got close to 20 seconds of footage until he was stopped from filming by Chinese immigration security. Using a messaging app, Wober sent the footage to the Asia Desk, which then sent it along to London. The Beijing bureau moved a text story, and the Asia photo desk pulled some frame-grabs from Wober’s video. The video was the first and only visual of a North Korean official who has been participating in talks ahead of the summit between Trump and North Korean leader Kim Jong Un. In New York, media access at John F. Kennedy International Airport is almost impossible. Assignment manager Sara Gillesby figured out where Kim’s plane was due to arrive and bought an airline ticket for video journalist Joseph Frederick. Once past security, Frederick found Kim’s gate. Frederick fired up the Bambuser live video app and made sure he had clean shots of the plane taxiing to the gate, of Kim walking on the tarmac escorted by security and the motorcade driving away. No other media was there. Producers Luke Sheridan and Ted Shaffrey edited the video and filed it shortly after Kim’s arrival. Sheridan also pulled stills off the live shot and sent them to photo editors. The exclusive live shot enabled AP to confirm Kim’s arrival in the U.S. Video journalist David Martin also had a LiveU shot of Kim and the delegation arriving at the Millennium Hotel. 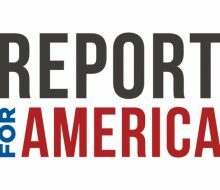 Video journalist Robert Bumsted later provided a widely used LiveU shot of Secretary of State Mike Pompeo and Kim arriving and departing a dinner meeting at the U.S. deputy ambassador’s residence. For their quick and creative thinking to net AP worldwide exclusives, Wober, Gillesby, Frederick, Sheridan, Shaffrey, Martin and Bumsted share this week’s prize.